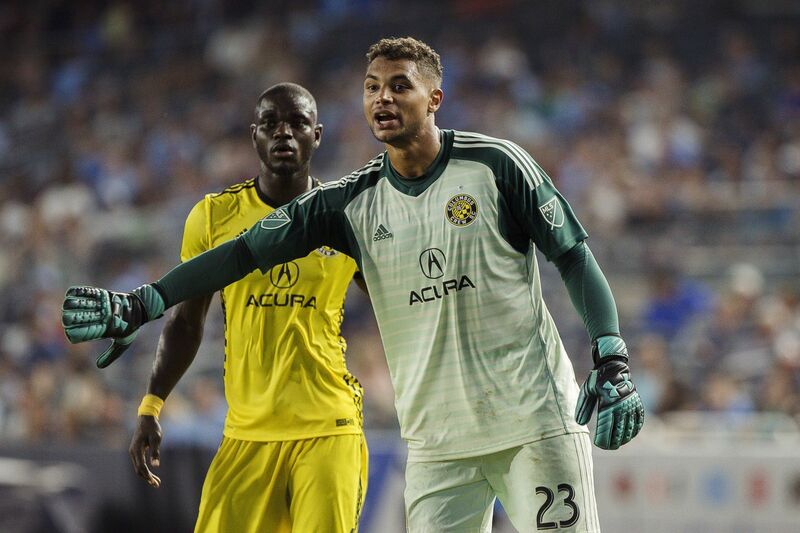 The Columbus Crew said Tuesday that Coatesville native Zack Steffen will join Manchester City when the summer transfer window opens July 9. COLUMBUS, Ohio (AP) — American goalkeeper Zack Steffen will transfer to Manchester City from the Columbus Crew in July. The Crew said Tuesday that Steffen, a Coatesville native, will join City when the summer transfer window opens July 9. Although the transfer fee was not announced, The Athletic and other outlets have reported that it will be between $7.5 million and $10 million. The 23-year-old product of Downingtown West High School played two seasons at the University of Maryland. He was part of a Union under-17 team in 2012, but never got a contract offer from Philadelphia and joined Germany’s Freiburg in December 2014. Steffen never got into a first-team match at Freiburg, so he signed with the Crew in July 2016 and was on loan to third-tier Pittsburgh for the rest of the season. He made his Crew debut in 2017 and was voted Major League Soccer’s top goalkeeper this season. Steffen made his U.S. national team debut in January and had six appearances this year.